The sport utility vehicle is a pretty cool machine, all things considered – it is versatile and appeals to many different people from many different backgrounds. The SUV combines the power of a small pickup truck, the comfort and appeal of your standard sedan and the cargo space and passenger space of a minivan. Most SUV’s seat five people minimum, though there are some that are only two seats and some that have 12 or more – in other words, like pickup trucks, there’s an SUV built for just about every purpose, and finding accurate transportation quotes can be difficult due to the sheer number of various sport utility vehicles out there on the road today. 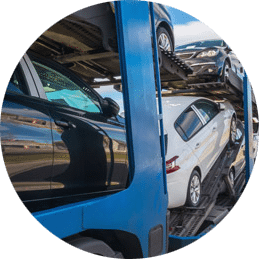 In this article we’ll discuss a bit about the SUV and what you can expect with both your auto transport prices and carrier availability when shipping an SUV. 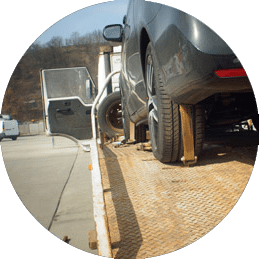 Your auto transport quotes will be based heavily on what type of SUV you are shipping specifically. There are many different sizes and even some lines of SUV’s have the same name across several models that are all different sizes. This can pose challenges for auto transport representatives when trying to accurately quote the shipment of an SUV from one location to another, so in addition to the year, make and model of your SUV please also include the submodel – for instance, when shipping a GMC Yukon Denali XL, please let us know that it’s a GMC Yukon Denali XL, because that’s the largest version of the Yukon GMC makes – if you tell us it’s a GMC Yukon, we could quote your shipment inaccurately because the Yukon is much smaller than the Denali XL variant, and will have a different price attached to it. One of the things about getting quotes for an SUV is the fact that you will almost always have to pay an oversize or overweight vehicle shipping fee, because carriers use more fuel to transport heavier vehicles than lighter ones along the same route – that’s why regular cars are considered standard fare while larger vehicles have overweight shipping fees attached to them. 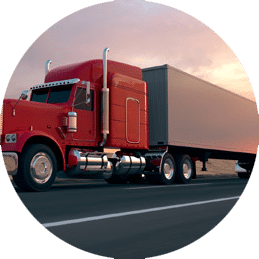 This is something the carrier assess and will be included in the quote that you receive for your SUV shipping from any auto transport company – every quote you receive should be all-inclusive, including all state fees and taxes, fuel surcharges, mileage costs and weight fees. You can call us here at Mercury Auto Transport any time at 800-553-1828 to speak to one of our live auto transport representatives who can give you more information about transporting your SUV and also calculate your free quote for you right over the phone. If you’d rather have a quote e-mailed to you, you can fill out our free online quote request form and peruse our quoted price in an e-mail at your leisure. Either way, we here at Mercury Auto Transport are here to help you with all your SUV shipping needs.